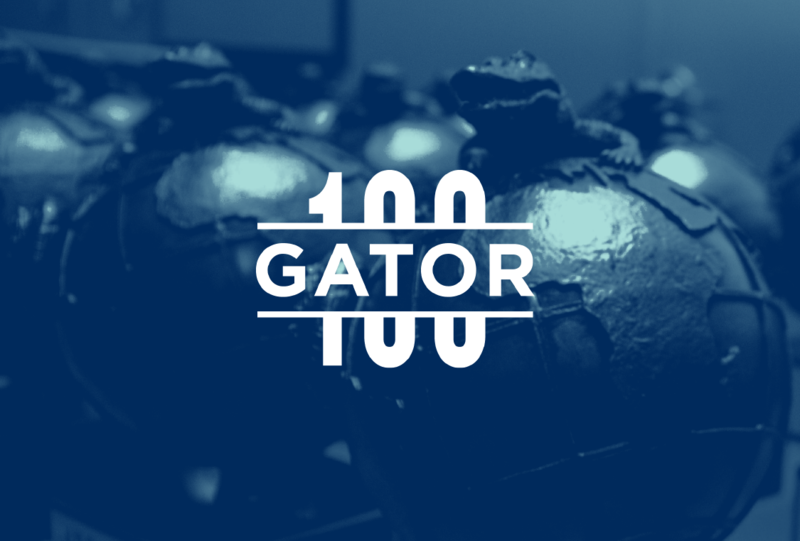 The Gator100 recognizes the 100 fastest-growing, Gator-owned or led businesses in the world and serves as the University of Florida’s premier entrepreneurial awards program. The UF Alumni Association and the UF Entrepreneurship & Innovation Center are honored to present the 2019 Gator100 on February 21-22, 2019 and celebrate UF’s elite entrepreneurs. Honorees and guests are invited to network with university faculty, staff, and one another while kicking off the Gator100 at the exclusive honoree reception. Honorees are invited to attend a monthly meet up for young entrepreneurs and innovators co-sponsored by the UF Entrepreneurship and Innovation Center. Honorees will have the opportunity to hear from their home college leadership. Entrepreneurial sessions hosted by the UF Entrepreneurship & Innovation Center.